Spectrum Dermatology (Phoenix) - Book Appointment Online! From skin cancer surgeries to anti-aging treatments, Spectrum Dermatology is recognized as one of Arizona’s leading treatment centers for laser, cosmetic, surgical and medical dermatology. 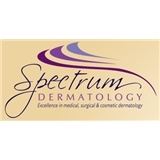 Under the leadership of award-winning, board-certified dermatologist, Dr. Nancy H. Kim, Spectrum Dermatology is committed to providing outstanding dermatologic and aesthetic care with state-of-the-art techniques and technologies to help you get the best possible results. We complement our expertise with a warm, caring environment so that your experience with us is always a positive one. We specialize in treating all problems of the skin, hair and nails and offer a comprehensive range of cosmetic, reconstructive and curative techniques in Phoenix and Scottsdale, Arizona. Christle Layton was great and very professional. She was attentive and listened to my questions and offered great suggestions. Been going to Dr. Rubenzik for many years. Would give 10 Stars if that were a choice. Always a great experience. The staff deserves high marks as well. Been a while but she remembered me and was quick and efficient in the diagnosis and treatment. Dr. Catherine Chen is wonderful! Very intelligent, very professional, very kind and caring. I've been to many doctors. Dr. Chen is definitely one of the best!